Connect power indicator light: Green light. Charging indicator light: Green light. LED indicator shows current charging status. Plug type: US Plug. High energy density, long life battery. (4) Local pick up is not available. SONY MINIDISC PLAYERS. Equivalent to Sony NH-14WM. (66mm x 17mm x 6.1mm). SONY DISCMAN. KENWOOD PLAYERS. Buy direct from Vapextech ! D-EJ01, D-EJ925, D-EJ01, D-EJ955, D-EJ955S. Use for: 18650 standard battery. 18650 Battery Specifications Model: 18650. With a LED indicator: red light stands for charging status. the Battery base: the light is always red. 1 x Battery base. 64g / 2.2oz. Feature: 3000mAh rechargeable 2A batteries lots Ultra high energy density, long lasting current output No memory effect, supplied with pre charged technology With hundreds of recharge cycles and they are a great economic and environmental choice, can be used anywhere that 2A need Their high capacity makes them ideal for digital devices such as digital cameras, CD/MP3 players, Torches, Remote Controls, Bluetooth keyboard/Mouse, hand held game machines, toys and Game Controllers Specifications: Type: 2A Capacity: 3000mAh Voltage: 1.2V Color:Green Chemical Stuff: Ni-MH (Nickel Metal Hydride) Stay Charge / Always Ready: YES . 2 x Samsung 18650 30Q. 20A Battery. BEST QUALITY. 21700 3.7V Li-ion. Capacity: 4000mAh. 2PCS x UltraFire 18650 4200mAh Batteries. Real Capacity: 4200mAh (label). Model: 18650. DO NOT tear down, heat in fire, short short circuit. The battery does not fit VAPE & Electric Cigarette. Type: Li-Ion Battery. Feature: 18650 protected multi-purpose Rechargeable Li-ion lithium battery batteries are ideal for reliably powering everyday devices 18650 Batteries give you the freedom to enjoy the use of your appliances by giving you a product you can rely on and are best used when you are looking for reliable, long lasting power in regularly used devices such as, portable games consoles, shavers, remote controls, CD players, motorized toys, flashlights, toothbrushes, etc. Specifications: Model: 18650 Capacity: 12000mAh. Voltage: 3.7V Color: Blue Notes: Low discharge rate, no memory effect. 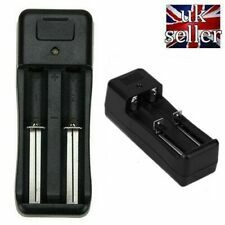 Rechargeable battery with Re/Discharging Protection Circuit. .
4PCS x UltraFire 18650 5000mAh Batteries. Real Capacity: 5000mAh. Model: 18650. DO NOT tear down, heat in fire, short short circuit. The battery does not fit VAPE & Electric Cigarette. Type: Li-Ion Battery. 7 Ah 12v Sealed Lead Acid Battery. 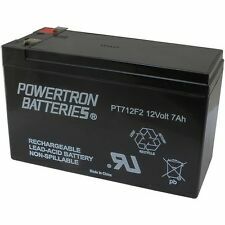 Genuine NP 7 -12 Ultra Max Battery. 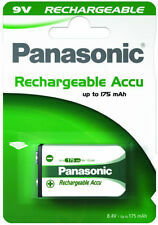 FULL 12 MONTH WARRANTY ON ALL OUR BATTERIES. We are only human, and occasionally things do go wrong. They are designed for a number of the Smart Solar light products but may also be suitable for other makes of solar lighting. Great for solar lights. Extra long life 2/3 AA. This is a Totally Sealed Battery and can be used in any orientation. FULLY SEALED. 12 months warranty. Products Features:100% brand new and high qualityCan charge 8pcs AA/AAA NI-MH/NI-CD rechargeable batteries at the same timeYou also can charge in any combo one at a timeCan not charge 1 or 3 batteries, must charge aa or aaa batteries in pairsLED indicates charging status, red for chargingOvercharging, overvoltage, overcurrent, overtemperature and short circuit protection, durable and reliableTimer controls. Whether the batteries are fully charged or not, this charger will cut off power and the LED indicator light will turn off after 9.5 hoursMore efficient and save time than other universal chargersGlobal voltage input applicable, can connect between 110V and 240V voltage, such as chinese AC voltage is 220V, European others countries AC voltage is 110V and y. 8 BATTERIES FOR THE ULTIMATE IN POWER VALUE! 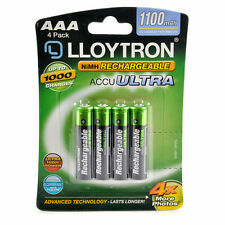 We are convinced that the performance of these batteries will truly give you real bang for your buck! Superb performance and battery life is assured. Capacity: 600mAh. 4PCS x UltraFire 18650 4000mAh Batteries. Model: 18650. DO NOT tear down, heat in fire, short short circuit. Real Capacity: 4000mAh. The battery does not fit VAPE & Electric Cigarette. Type: Li-Ion Battery. 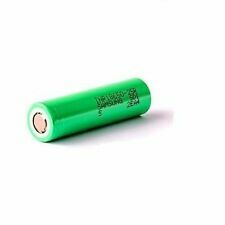 IKEA LADDA AA RECHARGEABLE BATTERY HR06, 1.2 V, 2450 mAh, 4pcs batteries NEW. 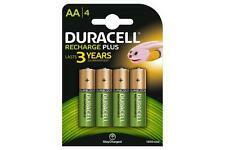 5 out of 5 stars - IKEA LADDA AA RECHARGEABLE BATTERY HR06, 1.2 V, 2450 mAh, 4pcs batteries NEW. 6 product ratings6 product ratings - IKEA LADDA AA RECHARGEABLE BATTERY HR06, 1.2 V, 2450 mAh, 4pcs batteries NEW. Use for: 18650 standard battery. 18650 Battery Specifications With a LED indicator: red light stands for charging status. Model: 18650. 1 x Battery base. the Battery base: the light is always red. 64g / 2.2oz. Main Features: Designed for AA / AAA Ni-MH / Ni-Cd batteries rechargeable batteries You can charge 1 - 4 pieces AA / AAA Ni-MH / Ni-Cd batteries at the same time It provides 4 independent charging slots With LCD, intuitive display the charging state, convenient to use Intelligent computer chip to control the charging process: The -AV intelligent technology to cut off the rapid charging mode, automatic transfer to trickle-charging mode, reliable and safe Over-current protection: Constant current charging mode to prevent the current fluctuations affect the battery Temperature protection:. 2 x 18650 Battery 3.7V High Capacity Rechargeable Batteries For Torch Flashlight. Output (AAA): 1.2V DC /120mAh. It features LED Charging Satus Indicators and has Automatic Short Circuit and Reverse Polarity Protection for added safety. Output (AA): 1.2V DC /120mAh. Automatic Short Circuit Protection. Connect power indicator light: Green light. Charging indicator light: Green light. LED indicator shows current charging status. Plug type: US Plug. The batteries are high quality and durable. High energy density, long life battery. Fast and easy to use. Superb manufacturers 5 year warranty! HOHM Stretch 18650 2856mAh/37.4A High Drain Rechargeable Battery - NEW RELEASE! Similar to disposable batteries in appearance and functionality, the main difference being that rechargeable batteries can be reused, which make them more economical and environmentally sound. There are multiple types of rechargeable batteries and understanding the differences between them is essential when buying for particular products. Like with disposable batteries, users must know which battery is compatible with their electronic devices. Nickel cadmium (NiCd) batteries were designed to replace standard sized batteries and maintain their strength even in cold weather. They are generally used in mobile phones and power tools. Nickel Metal Hydride (NiMH) batteries, on the other hand, produce twice the capacity of NiCd batteries and must be charged before use. These are often found in laptops and camcorders. Although limited in size, Nickel Zinc (NiZN) has strong power retention and are used in cordless power tools, cordless phones and digital cameras. 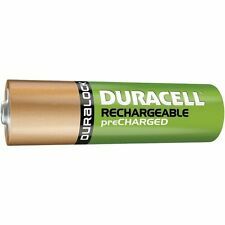 Rechargeable Alkaline batteries have a long shelf life but can be recharged a limited amount of time and are recommended to be used in intermittently used devices. Although rechargeable batteries are slightly more expensive than their disposable counterparts, they have a longer lifespan and can be reused several times before eventually needing replacing. This makes them much more cost efficient in the long run and they produce less waste. They are also better for the environment, as batteries have corrosive materials inside and care should be taken when disposing of them. Charging the batteries themselves requires a compatible charger, which should match the size of the battery. If the charger does not match the battery, it is possible that it may damage the battery through overheating or inadequate charging. Automatic charge protection senses when the battery has finished charging and will stop once the battery is full, which helps to prevent overheating. Trickle charging means that the charger will replenish any charge loss in the battery that occurs naturally over time and also serves as a place to store the battery in between uses.